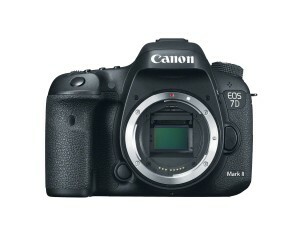 The Canon EOS 7D Mark II is the latest iteration of the Semi Pro DSLR from Canon. Offering 10FPS shooting speed and advanced auto focus, this camera is designed with sports, wildlife and any other fast action shooting in mind. New to this camera is the Dual Pixel Auto focus first seen in the Canon EOS 70D. The dual-pixel CMOS makes auto focus in video much smoother and faster than ever before. This is the Flagship APS-C DSLR body from Canon and is a strong entry in the Advanced amateur to Pro market segment.